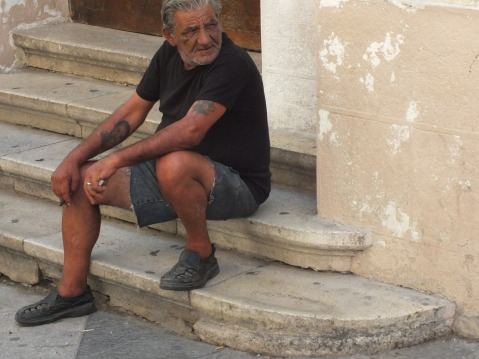 ‘An ageing population represents one of the most significant demographic and socioeconomic developments that Maltese society will be facing in the coming decades. 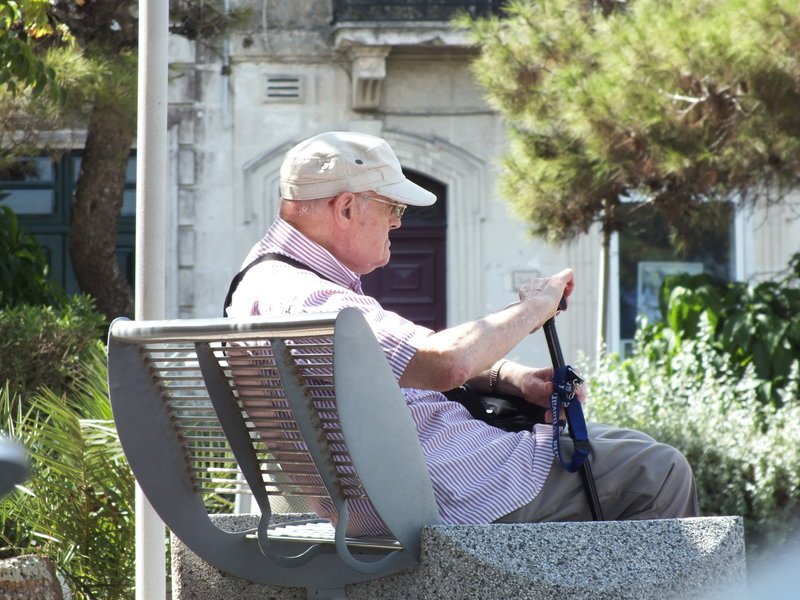 As a result of declining fertility and mortality levels and major improvements in life expectancy and healthy life years, the proportion of the population aged 65 years and over will increase dramatically in the coming years and decades”. 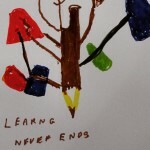 – Prime Minister Joseph Muscat, National Strategic Policy For Active Ageing, Malta 2014-2020. In 2014 we – Lennard Dost & Mare van Koningsveld – participated in a residency in Malta as part of 2014’s VIVA Festival. 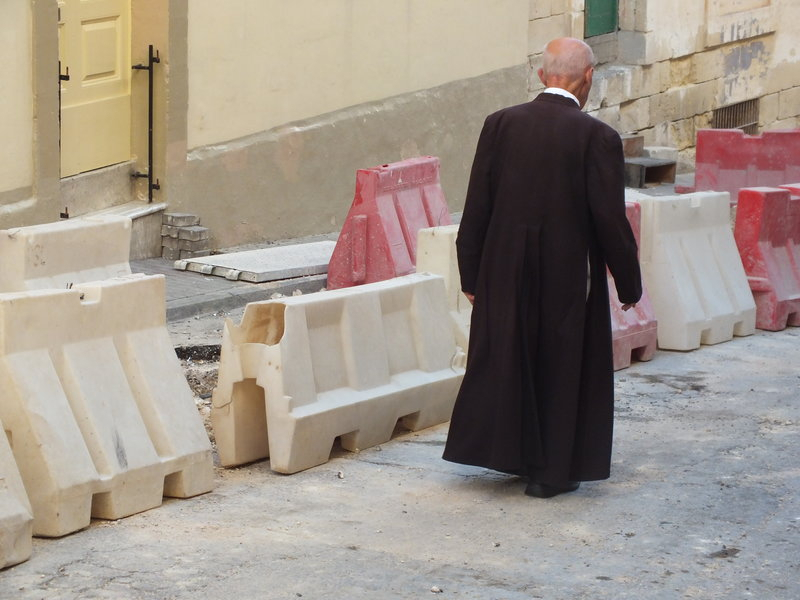 We then discovered that ageing is an important topic in Maltese culture and politics, maybe even more so than in the rest of Europe. 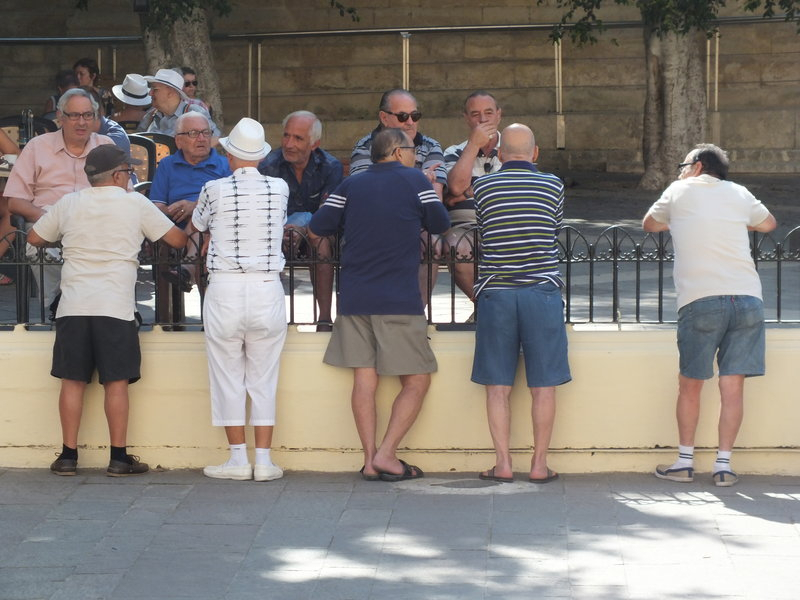 Malta was the first country to address the international consequences of an increasing ageing population within the United Nations in 1968. 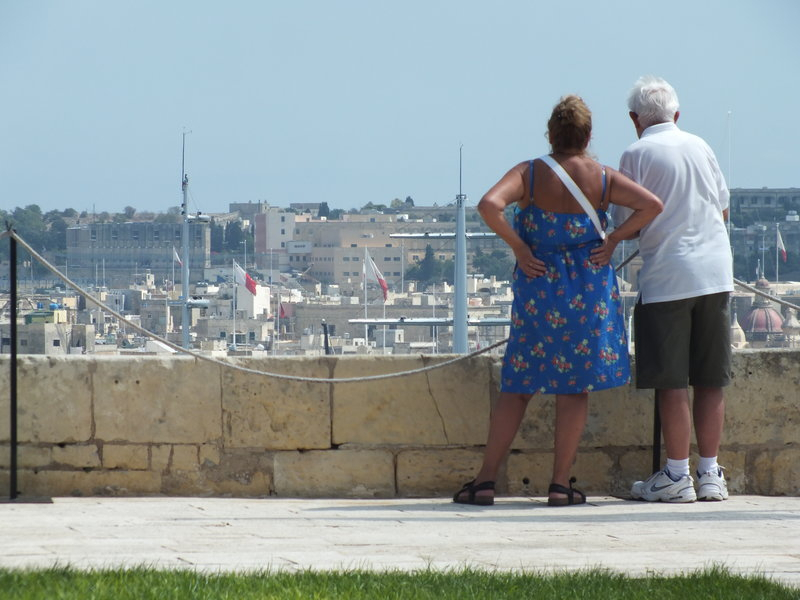 Today almost 20 % of Malta’s population is 65 years old or older. And the country has an International Institute on Ageing which is part of the United Nations. 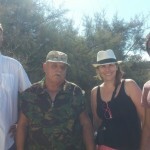 Then there were the interesting developments we heard and read about that are very different from the Dutch situation. That there, for example, is a large group of senior emigrants from Northern European regions who come to Malta and other ‘climate friendly’ South European countries for their retirement. 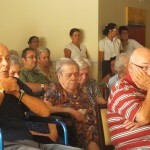 That there’s an increasing number of Maltese seniors who don’t rely any longer on the care of their families but choose to live in nursing homes (while Dutch seniors used to depend on nursing home care, but are now forced by governmental decision making to ask family and friends to take care of them). 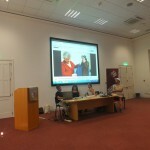 “The Culture of Ageing”, which was organized in Valletta, Malta in 2015, about these kinds of issues: how do societies deal with an ageing population? And what role do seniors have in various societies? With our exhibition project we researched the Maltese situation, but we do also looked at more cultures and we did so from various perspectives. 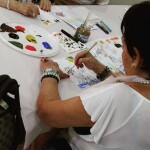 The project wasn’t only about ageing and seniors, but also very much with seniors. 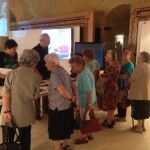 Besides the exhibition we organized several activities that included seniors. 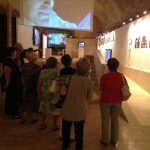 Maltese seniors/seniors living in Malta had been interviewed on video as part of the project (these videos were shown in the exhibition as well), there was an education program, for which Maltese and Dutch seniors exchanged post cards and you were able to join an exhibition tour by a senior exhibition tour guide. 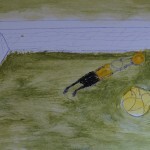 Interviews: Mare van Koningsveld & Lennard Dost. 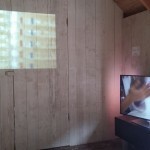 Below three of the video interviews that were included in the exhibition. The Culture of Ageing (2015) – Interview with Angela Galea from Mare van Koningsveld on Vimeo. The Culture of Ageing – Interview with Rosa Maria Dudzinski and Martin Gumbrell from Mare van Koningsveld on Vimeo. The Culture of Ageing (2015) – Interview with Salvu Vella from Mare van Koningsveld on Vimeo. Educational workshop. Elderly people living in Elderly Homes in Malta were asked what their secret is of getting this old. They painted this secret on the postcards. The cards were sent to seniors in Holland. At the same time Dutch seniors did the same, and sent their cards to the seniors in Malta. In that way there was an exchange of secrets, and seniors from Holland and from Malta got in touch. Concept: Mare van Koningseveld & Yvonne Blaauw. Photos © Yvonne Blaauw. 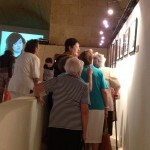 Another important part of the project was the artist exchange between Malta and The Netherlands. 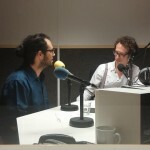 In April 2015, Maltese artist Adrian Abela visited Groningen, Holland, where he did research at the European Research Institute on the Biology of Ageing (ERIBA), an institute that is part of the Dutch research network “Healthy Ageing”, whose mission it is to find out how cells age and how one can prevent cells from ageing. 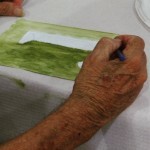 In return Dutch artist Femke Bakker had been doing research in Malta in August 2015, in collaboration with CareMalta, Malta’s main provider of elderly care. 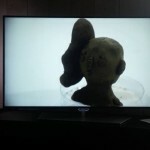 The art works that were the results of Bakker’s and Abela’s research became part of the exhibition as well. 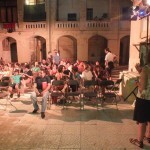 The exhibition location was ST. James Cavalier in Valletta, Malta. 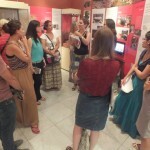 The exhibition was on show from the 31th of August 2015 till the 27th of September 2015. 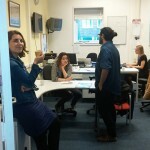 Femke Bakker, Ferhat Ozgur, Libia Castro & Olafur Olafsson, Louise Hervé & Chloé Maillet, Azahara Cerezo, Trevin Matcek, Michael Apted, Adrian Abela, Kristina Borg, Gilbert Calleja, Vince Briffa, Bettina Hutschek. 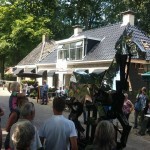 The work Adrian Abela created for this exhibition could first be seen at art route Open Stal in Oldeberkoop (Friesland, Holland). Open Stal started on the 11th of July 2015, and lasted till the 11th of August 2015. Open Stal is organised every year, and gets about 9000 visitors. Idea: Mare van Koningsveld. 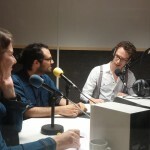 On the 13th of April 2015 Mare van Koningsveld and Adrian Abela were interviewed by local radio program Glasnost (OOG Radio, Groningen, Holland). 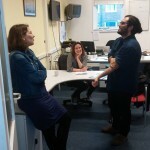 Mare told something about the ‘The Culture of Ageing’-project and Adrian told something about his research at ERIBA. 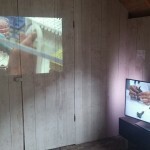 On the 1st of September 2015 the work Caregivers by Libia Castro & Olafur Olafsson was screened on location. 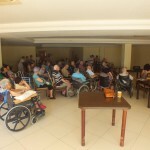 Location: Dar il-Madonna tal-Mellieha nursing home in Mellieha. 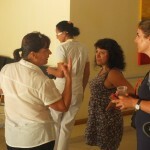 Libia Castro told something about the context of the work before the screening started. 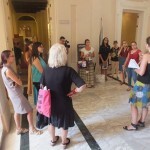 On the 2nd of September 2015 we organised some lectures in Valletta as part of this program. 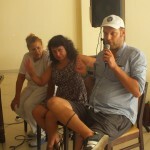 Lectures by: Libia Castro, Ferhat Ozgur and Leo Delfgaauw. Moderators: Mare & myself. 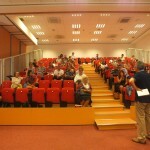 On the 16th of September we organised a lecture by dr. Marvin Formosa. 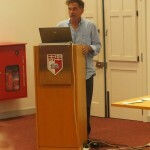 Dr.Formosa, Director of the International Institute on Ageing, United Nations in Malta, and Head of the Gerontology Unit, Faculty for Social Wellbeing (University of Malta) delivered a lecture entitled ‘The end of the world as we know it! The coming of population ageing’. Dr Formosa’s primary research interests include social gerontology, sociology of ageing, old-adult learning, social exclusion and inequality, social class dynamics and Universities of the Third Age. 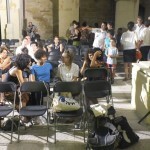 On the 3rd of September Mare & I gave a workshop for students in Valletta. The subject: the ageing of culture. 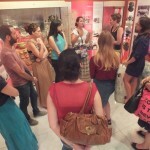 We visited the National Museum of Archeology, and discussed the current collection presentation and alternative ways of presenting. 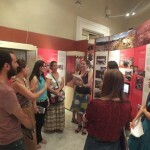 Museum curator Sharon Sultana was also present and participated in the discussion. 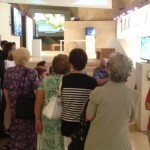 Also part of the program: guided tours through the exhibition by seniors and meant for seniors. In the first week of September 2015 we screened three movies that somehow related to the theme of ageing. 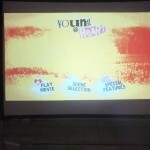 – 2nd of September: Young@Heart. Location: appartment building in Camrata, Valletta. – 4th of September: Robot and Frank. Location. 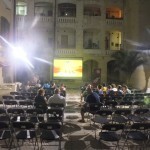 St. James Cavalier Cinema, Valletta. The Culture of Ageing was a production by Valletta 2018 and Leeuwarden 2018. Leeuwarder Courant (January 8th 2015). Same article was published in Dagblad van het Noorden on 8th of January as well. Maltese newspaper Malta Today published an article about The Culture of Ageing on the 31st of May 2015. Malta Today published another article about the project. And another one in Malta Today.